This year my goals are to keep going to the gym and get fit. I also need to keep busy, by doing crochet, gardening, baking and blogging about it. Keeping busy and active is good for my mind, sitting around doing nothing is very depressing. Getting out and about by the going to the gym and going to the weekly local craft group can only be a good thing. 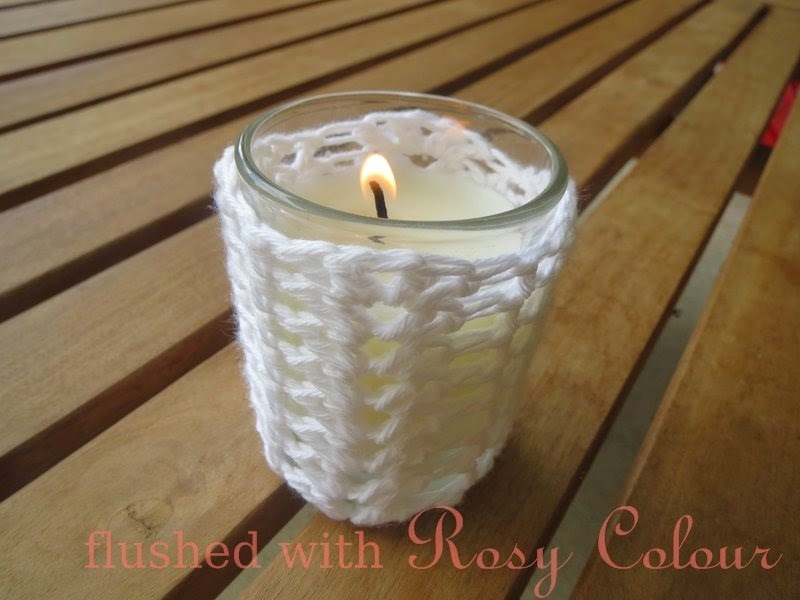 Also, I thought I might make crochet cosies for these citronella candles I bought for a family dinner we have coming up. I'll post the free pattern soon. I'm also making some more drink coasters for the dinner table setting which can be for up to 14 people, I will post about that soon as well!